The haze is back in Singapore and no one is happy about it. 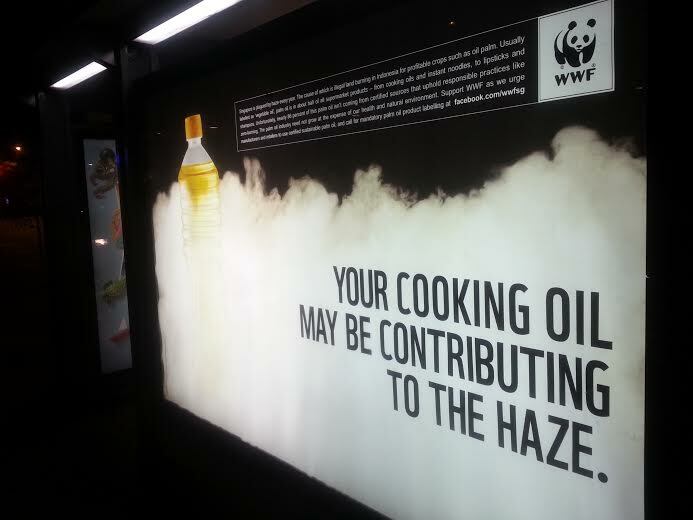 World Wide Fund for Nature (WWF) put up these bus stop ads to remind us why. What a great way to inspire us to check the ingredients in the products and foods we buy and purchase less palm oil.